A consumer-grade user experience is now the expectation for business applications. Over the last decade, file sharing, HR, and CRM applications have become as easy-to-use as Facebook and Google. Today, that evolution has reached content creation and therefore rich text editing. Writing long-form content is as popular as ever, particularly in the workplace. For professionals to do their job, they contribute content to their systems of record. Marketers create copy and page layouts for content management systems, sales professionals send customized emails, doctors write patient notes in electronic medical records, and educators build course content in their learning management systems. Whether an app is used to write patient notes or to create blog posts, getting the UX just right is a challenge and ultimately what counts most. The moment the user is forced to think about the tool they’re using and not the content they’re creating, friction and wasted time erode the value of the application. This is particularly the case for software that enables content authoring. Businesses that create content will only have staying power if they remove obstacles to how that content is captured, shaped, shared and published. Ultimately, truly great business applications will require truly great writing experiences. Tiny helped launch and scale the adoption of WordPress, Medium, Marketo, and Atlassian, and is laser-focused on helping to usher in the next era of applications for content creation. For example, the company recently launched a modern, responsive UI and a new cloud file management system, Tiny Drive. Today, more than one million developers and thousands of enterprise customers count on the TinyMCE open-source core and the extended platform of premium plugins, cloud services, and support. The future of rich text editing is here and it will unlock tremendous opportunities for content-driven companies. Developers who want to enable physical objects to communicate with smart phones and other personal gadgets can now order Blesh PW Beacons and the Blesh PW App and participate in the public project called "The Physical Web", an initiative that plans to let people walk up to smart objects and with a single tap interact with them on demand. 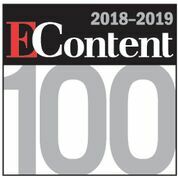 Every week, EContentmag.com highlights hot stories and links on digital content and digital media. Here are the latest links for the week of December 31, 2012, with stories on Random House, mobile entertainment revenues, and more. The iPad Mini is no longer just a figment of Apple enthusiasts' imaginations. This afternoon, during an event in San Jose, Calif., Apple finally introduced the Mini to the masses. The tablet comes in a 7.9 inches long, and 7.22 mm thick with a $329 starting price. For some, it might be hard to remember what life was like before smartphones, tablets, and e-readers. How did we ever survive? We had to wait until we were settled in front of our PCs to check our email and watch the latest episodes of our favorite TV shows on our TVs (gasp!). We even had to buy GPS navigators for our cars to find our way to new destinations. Mobile devices and the apps that live on them have certainly made our lives easier-and maybe even more exciting-but they have also had a significant impact on the publishing industry. The U.S. Department of Justice could reach a settlement in the next few weeks with Apple and some of the major publishers suspected of planning to raise ebook prices, Reuters has reported, citing people close to the negotiations. The holiday season has come and just like every other year, publishing sales reports are coming in and people are declaring that sales weren't good enough. The big news was of course ebooks and e-readers. Amazon reported Kindle sales of...well, no, Amazon won't report actual numbers-let's face it, they don't have to- but they did say that consumers were buying over one million Kindles per week in December and three Kindle models dominated their top sellers' list for the better part of December. Founded in 1873, the Cincinnati Zoo & Botanical Garden is one of the oldest zoos in the United States and a National Historic Landmark. When the Cincinnati Zoo & Botanical Garden became aware of a shift in its attendance patterns, it knew it had to gather and analyze data on these changing trends in order to be able to adjust its strategies to be prepared for the future. Zoo staff examined a variety of different software suites and packages before choosing IBM and its Cognos business intelligence platform. Ephox Corporation released EditLive! 7.5, the latest update in its set of web authoring products. Notable new features in this latest release include faster loading speeds, new commands for editing tables, enhanced API features, and a new option called Select Edit. Web production software provider Ephox announced that the latest version of WebRadar will go on sale Aug. 30. WebRadar 2.0, a reporting solution for IBM Lotus Web Content Management, provides information on workflow and features new reporting capabilities and metrics. EContent editor Michelle Manafy will participate in a panel on "Understanding the Transformations in the Media Industry" October 28th. My sense is that the bigger a country is, the less likely it is that companies based there will market outside of its borders. Additionally, in my experience, the larger a company is, the more likely it is that its marketers will spend their valuable time managing up to the bosses and presenting PowerPoints to internal audiences instead of focusing on the marketplace. Ephox, a provider of authoring software for web content, announced the latest release of its online rich text editor, EditLive! 6.7. I threw away my dictionary. Tossed it. Considered my cluttered desk and decided it was time to take a critical look at what was crowding this valuable real estate. I gathered a stack of books I've always kept near at hand and, as I wiped the dust off of them, came to the realization that, while I look up the occasional tricky bit of grammar in my tiny, trusty Strunk & White's The Elements of Style, I literally haven't used my dictionary or thesaurus in years. Percussion Software, a developer of practical software solutions, has introduced Rhythmyx 5.7, the newest version of its Enterprise Content Management System. FatWire Software, a provider of content management solutions for deploying content-centric applications, has announced three new modules that integrate with software products from Kapow, Ephox, and Lotus to extend the benefits of the company's flagship Content Server product. Ephox has introduced enhancements to their browser-based authoring software products - EditLive! for Windows 3.0 and EditLive! for Java 3.0. Mobile needs to be free to take any shape in order to find and empower users when and where they need it. But by virtue of its malleable nature, mobile is difficult to grasp and as a result, content providers—already cautious from scars garnered during the wild and wooly dotcom days—aren’t so quick to chase what might seem like a PDA pipe dream. Whether you’re training employees on a new product, hawking a product to potential customers, or pitching shareholders on a new vision for the future, the more efficient and effective way may be through digital video. Ephox, a maker of enterprise-wide content authoring solutions, has announced the general availability of EditLive! for Java 2.0, the next generation of its Web-based content authoring application. Face this reality: many factors are conspiring to create growing enthusiasm for calling a close to the “all free, all the time” Internet era, which translates into a universe where pay per view makes sense. And it's a foregone conclusion that customers will pay for valuable content. Micropayment technology may finally get its day in the sun.